The results are in, and to no thinking-person's surprise, the best diet is no diet at all. The best diet is real food. Just like Michael Pollan advised when he penned simply "Eat food. Not too much. Mainly plants." 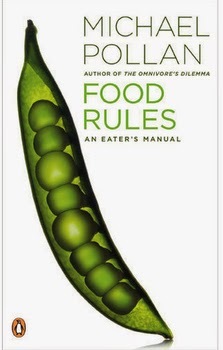 in slim best-seller Food Rules: An Eater's Manual. "... the real villains in our diet — sugar and ultra-processed foods — are becoming increasingly apparent. You can go back to eating butter, if you haven’t already. All well and good. Americans seem to finally be grasping that good food supports good health. And that highly processed industrial-made fake foods have a negative impact on health. But Houston, we still have a problem. Just as Americans relearn to appreciate real food, especially fruits and veggies, a profound shortage of US-grown produce is developing... and for a reason that most Americans selfishly believe doesn't affect them: the massive California drought. The U.S. Midwest mainly farms three crops... corn, soybeans, and grains... to be used for highly-processed industrial-made foods. Midwest farmers are richly rewarded by mega-corporations and subsidized by Congress for focusing on fodder for fast and processed foods manufactured in the U.S. So most of America is heavily dependent on California for its harvest of fruits and vegetables in order to chow-down a "real food" diet. "The loss of California’s output would create a dire situation for at least a decade" observed Slate.com. And this week, NBC News reported, "California's severe drought is causing a drastic increase in food prices." The federal government should stop spending billions annually to subsidize crops for the processed food-like products made by mega-corporations. Instead, the federal government should put its money where its health-conscious mouth is, and subsidize fruits and vegetables, and high-quality dairy and meat intended for direct sale to U.S. consumers. California farmers should receive maximum possible government support to help stay afloat and hydrated during this drought crisis. In the short term, what's a smart consumer to do to afford a healthier "real food" diet for her loved ones? Buy real foods, rather than processed food products, as much as practicable. Prices are often lower at farmer's markets. Grow a garden in your yard, in balcony and patio pots and planters, or community patch. And remember: ""Eat food. Not too much. Mainly plants." Whenever you are looking for cheap dissertation writing service online, make sure to put more interest on the aspect of cost. They should be affordable and reliable at the same time. You cannot afford to pay for something that you will run after forever before it can come to your hands.